It is very hard for me to explain to you how or why I am sitting here discussing severe weather and high energy events on Earth with readers like you from 175 countries around the world when in fact I never set out on this journey of the mind with any real inclination it would bring me to where we are today. Other than having a good practical thermodynamics and engineering background, I have never had a meteorology class, a particle physics class, a geology class or an astronomy class (it probably shows to many of you), but I do have an incessant curiosity with Nature and Science and a very creative mind since childhood. Many times in professional engineering the most conservative design for safety reasons is the best and it does not always allow for a great deal of creativity within that design. Nature on the other hand is very creative, just look around you. I believe creative flow is at the heart of our quantum being. This blog has allowed my mind to to take off on this creative quantum journey and share my thoughts. I am learning as I go, as we all are. I am telling this story through words and pictures and music because I can’t see any other way to do it. There is already a wealth of information published on quantum mechanics and string theory and black holes. Much of it is in equations and such and I struggle as much as everyone to understand the equations and try to “see” them through my thoughts. As an engineer, I tended to see what we call “weather” as a thermodynamic and electromagnetic upset. I now see severe weather as mostly a “quantum upset”, with the thermodynamics, electromagnetic, gravitational and low energy nuclear effects just a result of the increase in this dark quantum energy within an area. 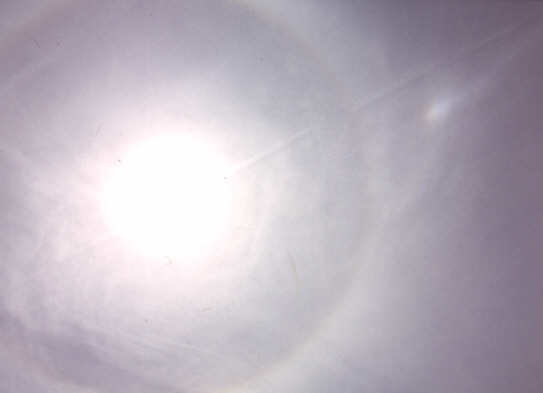 I have mentioned a few times now, my research is telling me that these strings of dark energy can create ice halo patterns of interlocking rings within the sky as well as what appears to be lensing effects before these severe thermodynamic upsets in the atmosphere. These particle strings can also weaken the Earth where they enter through beta decay, telluric currents and ionizing radiation such as Radon leading to Earthquakes. The 1998 Central Florida tornado outbreak of February 22–23, 1998, was the deadliest tornado event in Florida history. Forty-two people were killed and 260 were injured; seven tornadoes were involved in the event. The previous record for the highest tornado death toll in Florida history was 17 on March 31, 1962. The first tornado of the outbreak came at around 11:40 pm in Orange County, Florida. Three were killed in this tornado. 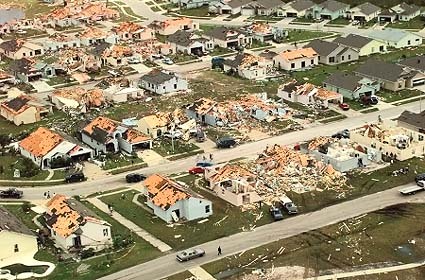 The most notable tornado of the night was an F3 that hit in Kissimmee, where twenty five were killed. Another F3 hit in Seminole County, Florida, near Sanford and Volusia County, Florida, killing 13. The last tornado of the night hit in Brevard County, Florida. …The tornadoes were strong due to an abnormally strong jet stream with warm, humid air out ahead of the cold front. This is common in the El Niño phase of theEl Niño-Southern Oscillation (ENSO) during the Florida dry season (November 1 – April 30). During El Niño the jet stream is typically stronger and further south near or over Florida in the winter and spring. This greatly increases the odds that conditions will be favorable for strong tornado development. These halos will be one of your first signs that there are some very energetic quantum strings overhead that can pull severe vacuum in the atmosphere along their path we call the jet stream as well as weaken the Earth where they enter. The cirrus clouds are just the condensing wisps of the string paths through the sky. 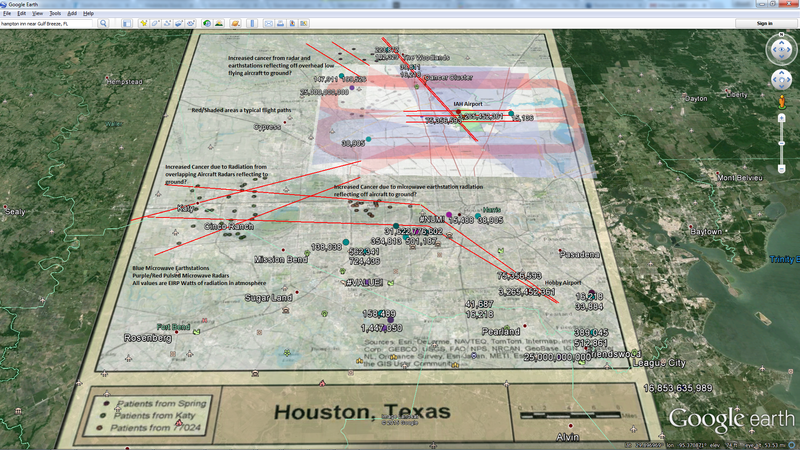 I already mentioned in a previous blog that these same halos were seen before a large Indonesia Earthquake here. 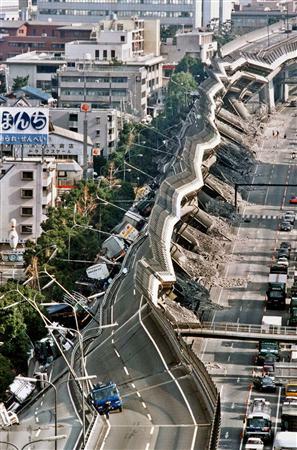 As I have read further, it also appears that the same phenomena was witnessed before the 1995 Kobe, Japan Earthquake and researched extensively here. It almost reads like that article was written to support my theory. Ultimately, at least to me, it almost seems like a large slap in the face to humanity that we were given less than 5% of the universe to dwell in and in fact the 5% we were given appears to have many ripples and holes in it. I hope you all can see the irony in that. With knowing comes some harsh realities, at least to me, about our Nuclear Fission Reactors that quite frankly scare me for our children’s sake as it appears it is just a matter of time before another accident occurs since my research basically confirms Murphy’s law, since quantum behavior now appears to act strongly over time at the macroscopic level if I am correct. On the other hand, once we are through the pain of now knowing, we should be thankful for all that we have been given and realize the other 95% may be available to us. Somehow I feel that I was put here to share that with you although I do not know why. He must think we are ready and have suffered enough. We must believe there is much good out there and move forward in earnest with this new awareness for it will be like a key to unlock new doors to the universe.